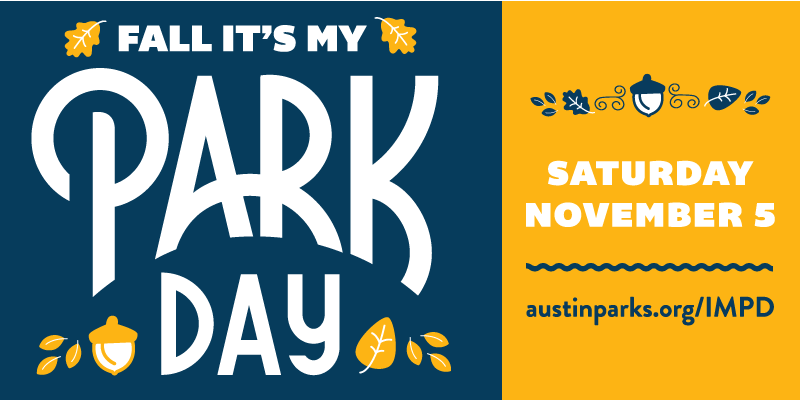 AUSTIN, Texas – Austin Parks Foundation (APF) is proud to announce it will host the first Fall It’s My Park Day with 54 designated improvement projects and more than 2,000 volunteers. Members of the Austin community interested in learning more about projects and getting involved can visit the It’s My Park Day page for details. Additionally, APF will award nearly $200,000 in community grants from their ACL Music Festival Grants Program to support nine park improvement projects and will host a check presentation for the largest grant at Odom School Park during It’s My Park Day on Saturday, Nov. 5 at 9 a.m. The grants are funded through a unique partnership with Austin City Limits (ACL) Music Festival in which funds from the event are donated to Austin parks. Odom School Park will receive approximately $43,000 for a shade structure and picnic tables near the playground, and new goals for the soccer field. Joslin Neighborhood Park will receive approximately $39,500 for fitness equipment to increase opportunities for physical activity at the park. Mayfield Park will receive approximately $36,000 for the Phase II repairs of the historical wall around the park. Commons Ford Ranch Metropolitan Park will receive $17,000 for the prairie restoration project. West Bouldin Creek Greenbelt will receive $16,000 for trail improvements. Patterson Park will receive approximately $15,000 for the installation of the Dance of the Cosmos sculpture. Pillow School Park will receive $10,000 for the installation of a community garden. Barton Springs Pool will receive $7,000 to reintroduce native plants into the pool area and improve water quality. Austin Sunshine Camps at Zilker Park will receive approximately $4,000 for landscaping around the playground and metal gates at the entry and exit points of the circle drive. In addition to the nine grants, APF is pleased to announce three parks will receive musical playground equipment that was on display at ACL Fest: Lucy Read School Park (North), Eastwoods Park (Central) and Odom School Park (South). Festival-goers voted for which of the three parks should receive the instruments, but thanks to their generosity, all three parks will receive the equipment. Further news about the installation of the instruments will be available later this year. Since 2006, APF has awarded more than $2.75 million in grants through ACL Fest to parks across the city. To learn more about the ACL Music Festival Grants Program, please visit: www.austinparks.org/grants.